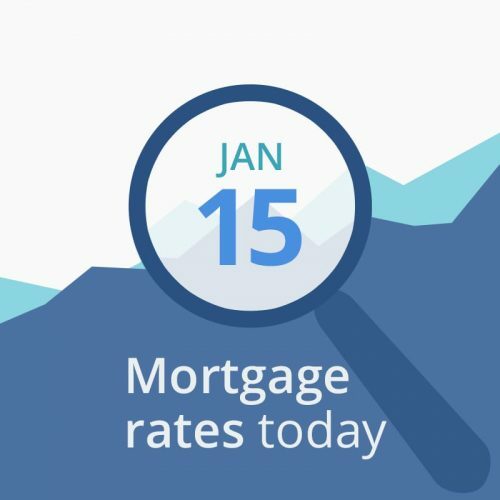 Average mortgage rates today did not change except on the government-backed loan front. The only report released today was December’s Producer Price Index (PPI). The index, which tracks prices at the producer (manufacturing) level, fell .2 percent, exceeding experts’ predictions of a /1 percent drop. That means less inflationary pressure and is good for mortgage rates. However, that report is not one of the most important ones we see each month. Markets have been stalled recently as investors have frozen — mostly waiting to see what happens with the US government shutdown. This morning’s data are neutral-to-bad for mortgage rates. However, the changes are small, and afternoon rate increases are unlikely. CNNMoney’s Fear & Greed Index moved 3 points higher to a reading f 32 (out of a possible 100). That score is in the “fear” range. The direction of movement is bad for rates. “Greedy” investors push bond prices down (and interest rates up) as they leave the bond market and move into stocks, while “fearful” investors do the opposite.